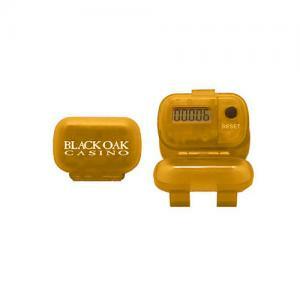 It is a proven fact that promotional giveaways increase the business exposure. 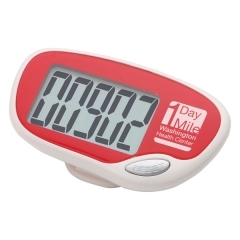 A brand imprinted custom single function pedometer reaches beyond your customers when they use it. Such an attractive device will catch the attention of your customer’s friends and loved ones when they take it out amidst them. This yellow promotional single function pedometer offers enough space to imprint your brand name and logo on the flip lid. 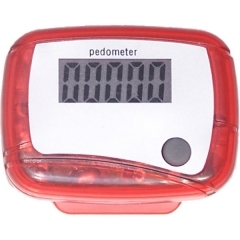 The large screen displays the steps taken from 1 to 99,999. 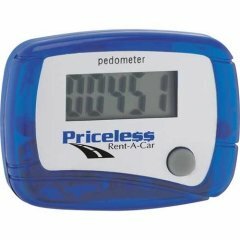 The personalized single function pedometer is an easy to use, simple and smart promotional giveaway for your well wishers. Imprint Area : 1 3/8" x 3/4"
Product Size : 2 1/8" x 1 9/16"